These are the positions we particularly need filling at the moment. 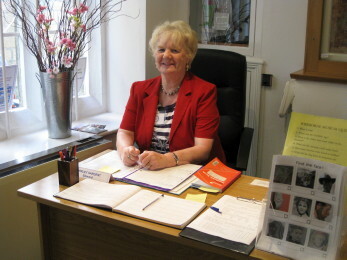 You will be part of a crucial team directly involved with Front of House, providing a warm welcome to visitors, answering any queries they may have and generally ensuring their experience of the museum is positive and rewarding. You will also help to run our small gift shop, take telephone enquiries, invite visitor feedback and encourage them to leave donations. You will ensure that the museum looks presentable before and after your shift. You will be keen to learn about your local heritage and be able to communicate your enthusiasm to the public. This is a wonderful opportunity for people who love their local heritage. You will be warm, friendly, polite and have excellent people skills with a pleasant telephone manner. You will be able to handle small amounts of money. A minimum commitment of two hours per fortnight is required but we would welcome those who are able to volunteer on a more regular basis. Alternatively, you could sign up as a reserve which means that you would occasionally required to fill in for a regular steward on holiday or in an emergency. No qualifications are required but an induction is provided, followed by on-going training and support; this includes fire procedures and health and safety training. Please note that there is only wheelchair access to the ground floor of our Grade II listed building. The museum does not cover any expenses. Please contact our front of house team leader on reception@sherbornemuseum.co.uk if you are interested or require further information . Alternatively see our notice on the Do-it volunteering website for more details and to register your interest. A DIY person is required to volunteer time to perform occasional tasks within the museum, for example, light painting and decorating, retouching walls, hanging pictures, filling holes and generally supporting staff during the creation of exhibitions. Hours to suit but needs to be particularly available over the winter during closed season. If you are interested or require further information please contact us. 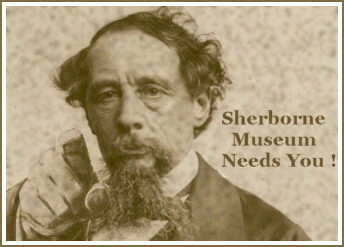 Sherborne Museum seeks to represent the rich heritage of the town and the key events that shaped its history and development over the years. It plays an important role in the local community, with a lively programme of events and a developing education service. Exciting plans for the future include a rebranding of the Museum’s image, a review of our membership benefits and ultimately a full professional redesign of the exhibitions in order to fully tell the story of the town while making the most of our wonderful collections. Following a recent governance review the Trust has decided to transfer management of the Museum from the Association to a Charitable Incorporated Organisation (CIO). We are seeking to appoint a Treasurer for the newly formed Sherborne Museum to oversee the financial affairs of the organisation, ensuring proper compliance at all times. The Treasurer will also undertake book-keeping duties and process payments. The role of Treasurer is vitally important to the smooth running of the organisation and will provide a rewarding opportunity to use your expertise and experience to help us develop Sherborne Museum. For a recruitment pack please download the PDF file or email the Honorary Curator, Elisabeth Bletsoe.